Ditch those new year resolutions for intentions, and create lasting, purposeful change. The new year is such a powerful time of year. We can reflect over the past year, let go of the things that are no longer serving us and dream about the year ahead. For years, I set the same resolutions year after year. Lose weight, workout more, make more money, pay off debts, save money, etc. Yet, I never stayed committed to those resolutions. I would be super motivated in the first few weeks or the first month of the year, and then I would veer off track, feel like I had failed and give up. I was introduced to the concept of intention setting through yoga. I loved the way that it felt to set an intention for the hour I was practicing yoga, so I began setting daily intentions. I’m not sure when I made the switch from resolutions to intentions, but when I did I felt a huge shift. Resolutions often come from a place of feeling not good enough and are focused on external rewards. Intentions give us more purpose, allow us to connect more to what we need on a soul level, give us the opportunity for self-discovery and focus more on the journey. The key is living your intention every day. 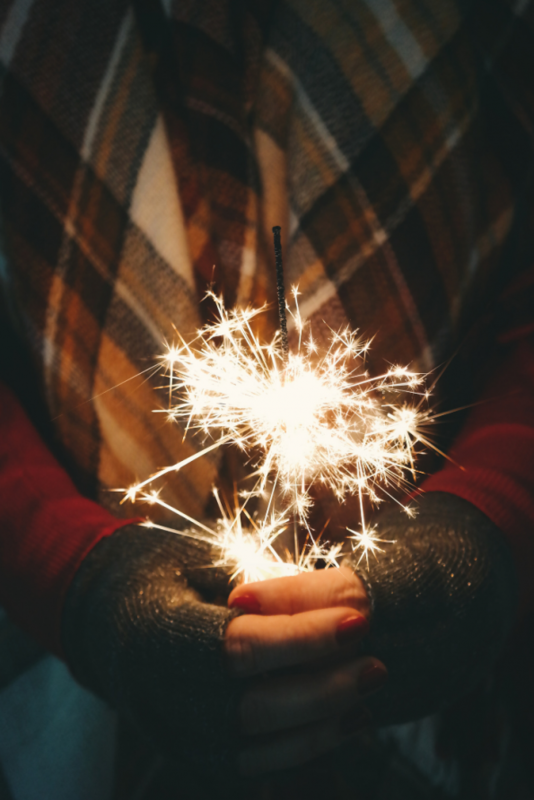 For the past few years, I’ve been inspired by the new year rituals from some of my favorite meditation, spiritual and entrepreneurship teachers like Rebekah Borucki, Sarah Jenks, Kate Northrup, Amber Lilyestrom, Danielle Diamond, Gabrielle Bernstein and others. I’ve taken my favorite parts of the rituals they’ve shared and added some of my own rituals. You can use what resonates with you and leave the rest. 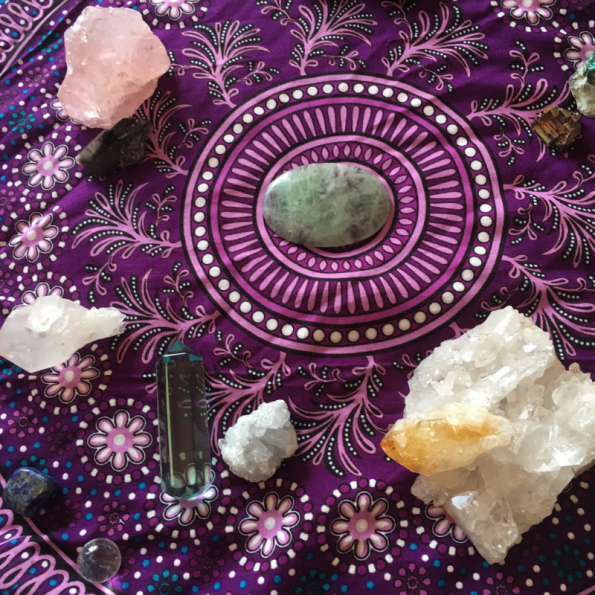 Find a quiet place and create a sacred space by setting out your favorite crystals and turning on your essential oil diffuser. I like to diffuse Young Living’s Envision Essential Oil blend during my intention setting rituals. Find a comfortable seat on the floor, on a pillow or in a chair. Sit up tall, shoulders stacked over your hips. Deepen your inhales. Allow your belly to expand with each inhale. On your exhales, allow your navel to draw in naturally toward the front of your spine. On your exhales, begin to let go of any tension you’re holding onto. Repeat the mantra “May I be open, may I be clear, may I be connected.” Continue these deep even breaths for a few more rounds or until you feel more relaxed and present. What are the goals that I accomplished? What am I feeling in my soul that I need to let go of? What will this make space for? What will be possible for me after I let this go? This ritual is intended to allow you to let go of attachment and make you feel lighter, more relaxed and happier. On a blank page, write down the things you want to let go of as you move into the new year. This could be old resentments, hurt, grudges, regrets, suffering, habits, negative energy, a bad mindset, negative thoughts, etc. I also like to place a drop of Young Living’s Release Essential Oil blend in one hand, rub my hands together, place my hands over my nose and take a few breaths. Place the piece of paper in a metal or glass bowl or in a sink and burn the paper. When you think about the year ahead, what are some things you would love to happen? Allow yourself to let go of any disbelief, let go of what other people may think of you, let go of the belief that you have to wait until you have enough money, you need to lose a certain amount of weight or you have to wait for something to happen first, and really dream. 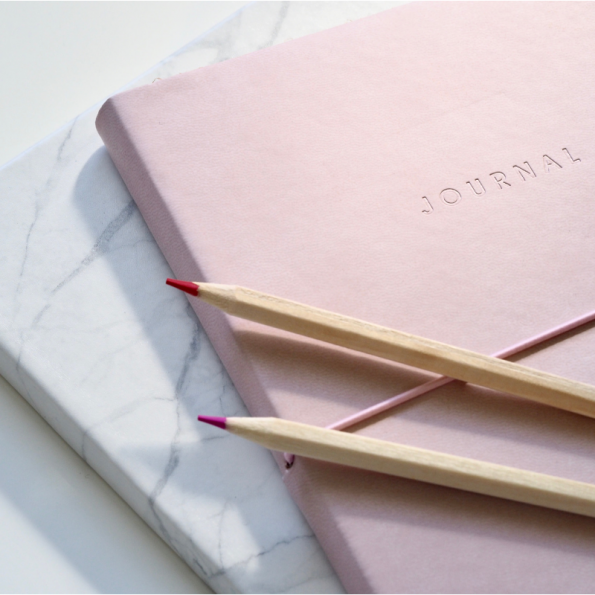 Take some time to journal on what you want out of the year ahead. Another option is to write a letter to your future self. Date the letter Jan. 1 for the following year and address the letter to yourself. Write a letter (in the present tense) to your current self about what has happened over the past year. Once you’ve reflected over the past year and dreamt about the future, look everything over and see if there were any recurring themes. How do I want to feel in the new year? How could I cultivate that feeling? Choose a word or phrase that encompasses the way that you want to feel in the new year. Create a mantra from that word or phrase to repeat every day in the new year during meditation practice or really any time. I like to diffuse Young Living’s Abundance Essential Oil blend during meditation. I hope this helps you to create a purposeful year! Share your intentions with me in the comments. Find out more about the essential oils I mentioned in this post here. To discover how you can ditch dieting, shift your focus from weight to health, heal your relationship with food, find more balance, and nourish you body from the inside out, take my quiz here. To find out more about my health coaching programs, click here.